The powerful energy of a full moon gives us the opportunity to illuminate what was once in darkness. Friday the 13th reminds us to face our fears and illusions. Mercury Retrograde asks us to reflect on what we are seeing and together those forces invite us to re-group, let go and re-charge. 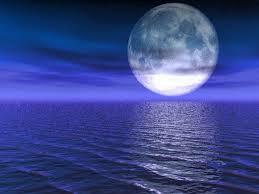 All full moons are packed with power and people handle this intense energy in different ways. It’s no coincidence (or surprise) that people go a little crazy during a full moon and since it falls on Friday the 13th superstition will run rampant. In the past week if you been feeling “buzzy”, unsettled, you’ve had trouble sleeping, experienced vivid (or lucid) dreams, or you feel overwhelmed it is most certainly the energy of the full moon. Just as the full moon illuminates the night sky, so too it lights up and magnifies energies you’re working on releasing so you can move forward. If you take time to ground and set your intentions she will help you gain clarity by illuminating your path and direction. A full moon can turn your world upside down or give you a boost forward. It all depends on if you resist or go with the flow of the energy. A full moon during mercury retrograde is a positive force which helps “light up” those areas of your subconscious that have up until now been in darkness. A full moon amplifies energy and since mercury retrograde brings a “re-visiting” of energies we are working on releasing you may feel like everything is “larger than life”. There has never been a better time to un-plug, reflect, re-group. Once you’ve “detoxified” you must fill up. Full moons have the power to illuminate but they are also filled with energy. The moon invites us to transform by using her energy to re-charge. Allow the moon energies to fill you up just as you would use the energy of the sun. In fact it’s a wonderful idea to use both the energy of the sun AND moon in harmony and balance. Previous Post Live in the Shadows or Live in the Light: It’s Your Choice…..
Next Post Asking for a Sign: Message Received on 37th Street.